"Blue Valley", a new area located in Jimo, a county-level city in eastern Qingdao, featuring marine science and technology, has made progress in becoming a national ocean technology innovation role model in the past four years. The area has attracted 210 projects in technology research and development and manufacturing industries, of which 14 are national-level institutes, 16 are universities and 110 are technology enterprises. The overall area of these projects is 7 million square meters. 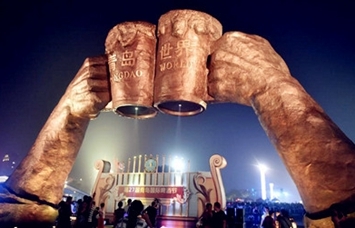 In 2015 its output value was 6.32 billion yuan ($965 million) and its fixed asset investment was 22.75 billion yuan. The new area has attracted 39,000 talents in the fields of marine technology and industry since 2012, among whom 52 are from abroad and over 300 are academicians of the Chinese Academy of Engineering and the Chinese Academy of Sciences, Yangtze River Scholars and Mountain Tai Scholars, China's national and provincial-level senior talents. The Qingdao National Laboratory for Marine Science and Technology in the park has built eight labs in which 1,000 scientists and engineers work, and has 28 scientific investigation vessels and 12 scientific databases. The marine survey, marine organism and submarine resources are the lab's missions of strategic importance. The area aims at becoming a world-class marine technology research center. In November 2013, it took part in a regional marine technology development cooperation project in East Asia. 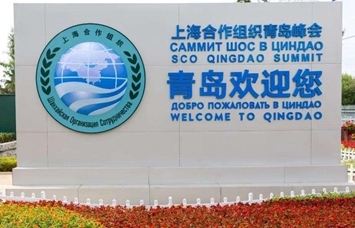 In December 2014, Qingdao's development plan for the Blue Valley was approved by the central government of China, and became the fifth national-level model base of marine technology in China. According to the plan, the area will become an urban region that can accommodate 700,000 residents and provide jobs for them. Qingdao plans to build high-standard infrastructure in the new city to satisfy the needs of its future development. 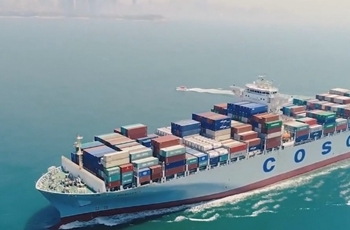 The central government also listed the development of the Qingdao area in its 13th Five-Year Plan (2016-20) to boost the development of China's marine economy.